I have a confession to make… I absolutely hated cold calling. It’s been a few years since I was in outside sales, but I still have flashbacks to some of my worst cold calling experiences. You know the ones where you’re treated like a complete nuisance, talked down to, or hung up on. Like most salespeople, cold calling for me was a necessary evil. It was evil because of those nightmare experiences, though pretty rare, but it was necessary because sometimes cold calling actually worked – especially if you did it often enough. Some of my best clients started with a cold call, or 10. While it was a numbers game, I found that the better I got at identifying the potential of a prospect and utilizing valid business reasons, the more success I would have. However, despite the “wins” that occurred on occasion – I spent a lot of my precious time cold calling, and if you’re in media sales or many other B2B sales industries then you probably do too. The downside to that was the fact that I wasn’t great at cold calling, I was great at selling. I was great at identifying needs, creating customized solutions, developing integrated marketing campaigns, and building relationships – yet I had to spend at least a quarter of my time doing the former. Now that I’ve had some time to step away and I’m lucky enough to work for one of the top B2B and media sales training organizations in the world, I have some fresh insights into how I would do things a little differently. 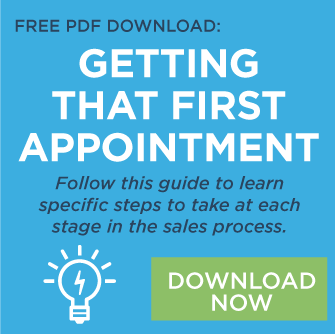 I’d like to share this newfound knowledge with all of you out there that struggle with cold calling and the never ending need to set new appointments, target new prospects, and close new business. Your personal brand, in my opinion, is the secret recipe to eliminating such a heavy reliance on cold calling. While I’ve always taken my personal brand seriously, at the time I didn’t take it to the level I should have. Strengthening your personal brand means showcasing that you’re a problem solver, a master idea generator, and/or a marketing expert… or whatever it is that you do best. The more you strengthen your personal brand the less you’ll have to cold call because A) more prospects will find you on their own, B) customers will more readily refer you, C) you’ll be seen as a thought leader in your industry/market and cold calls will be turned into warm calls, and D) introductions will happen more easily. Be a thought leader and write great content – for your company blog if they have one, or create your own. Showcase your expertise by sharing other people’s great content on your website, with clients, or on your LinkedIn profile. Have a great – no, amazing – LinkedIn profile. And actually use it to connect and interact with other professionals. Share that great content you’re writing with everyone you know… or want to know. Be unique and make sure every single person you come into contact with knows what makes you unique and how it makes you that much better at your job. Find public speaking opportunities where you can showcase your expertise and personality. Write an eBook about something you’re really passionate about. Know what comes up in Google when someone searches your name – and take control of it. Attend local and national conferences. Always be learning new things that could help your clients – and then share that information with them. Create YouTube videos or podcasts that teach people something. Don’t be shy. If cold calling makes you want to run and hide, take a month and devote the same amount of time you do cold calling to building your personal brand. See where it gets you. Are you able to interact with prospects in a less obtrusive way? Do people start noticing you more? 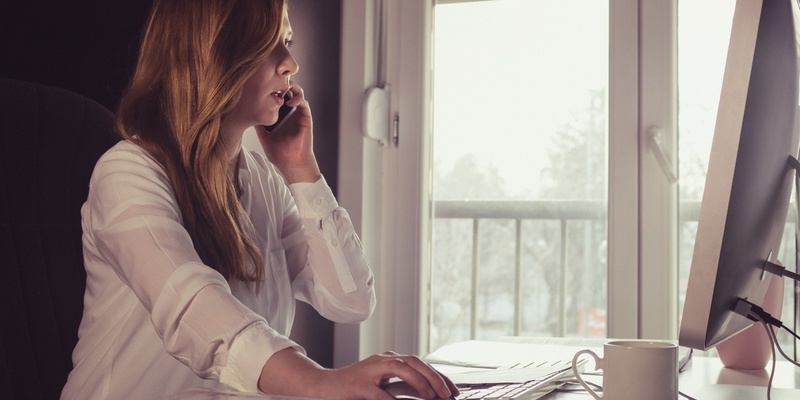 I can’t guarantee you won’t have to cold call anymore, but I can promise you that it won’t have to be your primary source for new business if you make your personal brand an ongoing priority. 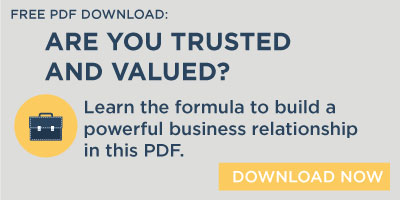 Becoming trusted and valued leads to powerful business relationships! Download to learn how.